Actors Ayushmann Khurrana and Bhumi Pednekar are re-teaming in the movie 'Shubh Mangal Saavdhan' after 'Dum Laga Ke Haisha'. 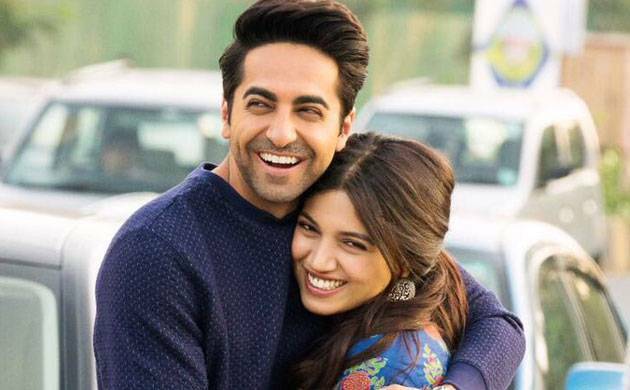 Bollywood actors Ayushmann Khurrana and Bhumi Pednekar have begun shooting for their next venture "Shubh Mangal Saavdhan" at New Delhi. The stars, who are re-teaming after "Dum Laga Ke Haisha", took to Twitter to share the on-location pictures. "Taking off to Delhi for a joyride called #ShubhMangalSaavdhan. Rolling tomorrow. @aanandlrai @psbhumi@rs_prasanna," Ayushamnn tweeted. The film will be produced by Anand L Rai's banner Colour Yellow Productions. Bhumi will be seen in the role of a Punjabi girl in the film. "And it's started. Major love and excitement team #shubhmangalsaavdhan. New stories in New Delhi," she wrote. Producer Rai also wished the team. "Shubh ho... Roll sound camera action #Shubhmangalsaavdhan shoot begins. God is kind. Congrats @rs_prasanna @ayushmannk @psbhumi @krishikalulla," Rai tweeted. The movie will be directed by Tamil filmmaker RS Prasanna. It is scheduled to hit the theatres later in 2017. This is the third project Ayushmann and Bhumi are working on. Apart from the Sharat Katariya-directed movie, they also filmed a portion of "Manmarziyan" but the project has reportedly shelved.